04 Feb 19 - Source: Myanmar Times - With the hot season not far away, water shortages are set to become a problem again in many parts of Yangon. According to U Myint Zaw Than, Yangon City Development Committee (YCDC) deputy head of the Engineering Department for Water and Sanitation, the YCDC supplies water from four sources via a network of pipes. For the locations not connected to the grid, underground water is used. Besides Yangon, many other parts of the country face water shortages during the hot season, roughly from mid-February to mid-May. To address the issue, the Asia Foundation and Renaissance Institute organised a three-day workshop on effective water treatment and supply systems in a hotel in Yangon, recently. YCDC is trying to increase water supply coverage in Yangon to 80pc by 2040, said YCDC Secretary Daw Hlaing Maw Oo during an excursion to the Pyin Lagoon water project on the second day of the workshop which took place from January 23 to 25. "While the population of the country is growing at 1.1 percent per year, it is growing at a rate of 2.6pc yearly in Yangon. The population of Yangon is growing at more than twice the rate of the country due to internal migration," Daw Hlaing Maw Oo said. Regarding the water shortages in the hot season, U Myint Zaw Than said, the YCDC have already carried out steps to ensure there are no cuts in areas of the city connected to the pipe network, however, there are expected to be shortages in areas such as Dala and Seikkyi Kanaungto on the outskirts of the city, where municipal water distribution does not reach. There are rainwater harvesting lakes in these areas and people mainly rely on the lakes for drinking water, said U Myint Zaw Than. "Lakes get dry in the hot season. During that time, we distribute water by trucks and the trucks are on stand-by to distribute water to villages. For villages near the river bank that are not accessible by road, we distribute water using boats," U Myint Zaw Than told Myanmar Times. 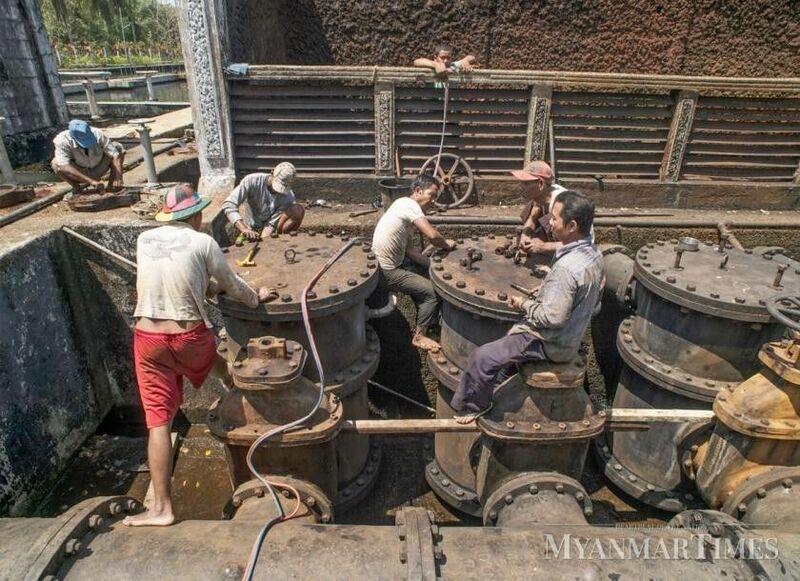 For the areas located on the banks of Yangon River across from Kyimyindaing Township, water tanks are positioned for the public to use, he added. The Kokkowa Water Distribution Project, which started in 2018, will begin distributing water in 2025, ending the current use of ground water distribution, U Myint Zaw said. According to the YCDC, the project will supply water to downtown areas such as Sanchaung, Kyiemyindaing, Ahlone, Mingalartaungnyunt, Dagon, Lanmadaw, Botahtaung and Pazundaung and Hlaingtharya townships. Meanwhile, the Pyin Lagoon Water Distribution Project which started in May 2013 is expected to be completed by October 2022. The project will provide water to Dagon townships and Thilawa Special Economic Zone. "Currently, Thaketa, Dawbon, downtown areas of Yangon and Kyimyindaing are at the edge of the water network and have weak pipe pressure. "These areas are also supplied with underground water," U Myint Zaw Than. People who are currently extracting water illegally will be educated first and if they continue to do so, they will first be warned, and then fined. "As water was distributed for free in the past, most of the public thinks the government shouldn't collect fees for it. We need to educate people about what it costs to set up a water network," he said. The new Section 316 of the municipal law states that no one is allowed to siphon water from the municipal network with illegal pipes. If someone violates the regulations, they will be fined anywhere from K100,000 to K1million. Some 932 million litres of water is distributed daily in Yangon from the Gyo Phyu, Phu Gyi, Hlawga, Nga Moe Yeik reservoirs, rainwater harvesting lake in South Dagon, Pout Twin rainwater harvesting lake in Yangon, Thae Phyu rainwater harvesting lakes, and other lakes . Gyo Phyu reservoir provides 123 million litres of water, Phu Gyi 245 million litres, Hlawga 64 million litres, Nga Moe Yeik 409 million litres, the rainwater harvesting lake in South Dagon 409 million litres, Pout Twin rainwater harvesting lake in Yangon 4.5 million litres and other lakes 73 million litres. Another 182 million litres of water will be supplied daily after the Pyin Lagoon water project is finished and 273 million litres from the Kokkowa project, according to YCDC. 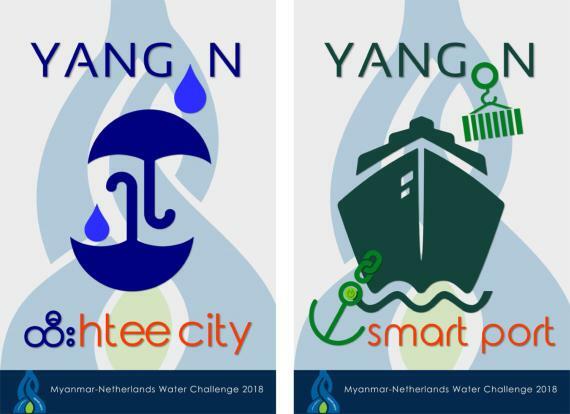 According to a master plan jointly drafted by the Japan International Cooperation Agency (JICA) and YCDC in 2010, up to 2.4 billion litres of water will have to be distributed to Yangon by 2040, more than two times the current supply. A weakness in the current water distribution system is that the water pipelines are stretched from north to south and due to the weak water supply network, when a water distribution station fails, other stations cannot supply the required water, said U Myint Zaw Than. The plan also calls for the improvement of the water distribution system, besides increasing the water supply to the city. At present, water payments are being calculated using meters and monthly rates. Fees based on water meters are based on different categories. The cost of water for ordinary households and civil servants is K88 per unit. For commercial use, the cost is K110 per unit for the private sector and government departments. The cost is K440 per unit for the households of non-citizens and K880 for commercial use. Under the fixed monthly rate, the costs are K1800 for nationals and K3000 for foreigners. By 2040, it is estimated that Yangon's population will reach 7.82 million. The YCDC's plans see water supplies reaching 80pc of the city's total area, while reducing non-revenue water to 15pc of the total supply. It also expects to reduce water lost through wastage and leaks to just 10pc even as water usage is expected to hit 181 litres per individual per day.